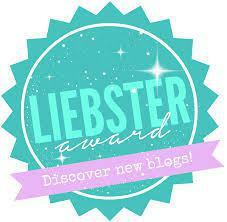 Make a post thanking and linking the person who nominated you and include the Liebster Award sticker in the post. Answer the 10 questions posed by your nominator and create 10 different questions for your nominees to answer. Or, you can repeat the same questions. 1. If you could be any Superhero or Supervillian would you be? To play devils advocate, I could be a superhero or a supervillian in anyones story! It is just perspective of the storyteller, the ‘villain’ can easily think they are the good guy and doing whatever they are doing for good reasons. Look at war, no side is truly innocent, good or evil and hindsight is a wonderful thing. 3. Where is you dream destination? Iceland and it has been for so long. Northern Lights, Glaciers, Lava Caving, Whale Watching, Blue Lagoon, awesome opportunities for hiking and night life. It is so expensive to go and be there, which is why I am waiting and saving until an opportunity arises. 4. 100,000 dollars to eat a can full of worms, would you? Actual worms from the ground in a what size can? Not jelly worms? Do I need to digest them, or is unintentionally vomiting them back up count as trying? Okay, my gag reflex is strong even with things I deal with a lot… Lets say maybe! 5. What is you favorite holiday? Does New Years count? Love it! 6. Who is you ultimate celebrity crush? Over the years there have been many, some have dwindled, some have stayed and others have joined the ranks, however fleeting and I recognise aesthetics of either gender but the ultimate, in my current mood… a toss up between Max Irons and Jensen Ackles, and for the other side of the coin, Lily Collins. 7. If you could choose one sense to lose which would it be (sight, touch, smell, hearing, or taste)? Smell. Straight to the point with this answer as I have actually had to write many essays on this point. 8. If you could have one superpower what would it be and why? I’m a huge Charmed fan, so if I had to I would pick Piper’s freezing power. I’m not a time poor person, quite the opposite but just for those moments where I am clumsy, or counting to 10 in real-time just wouldn’t be enough and if it ever happened, to save a life or to prevent injury. 9. Are you married, single or dating? 10. If you could be anyone who would you like to be? My nominations for this group of lovely people behind these great blogs! …and the questions you need to answer? If you could star in any TV show for 1 episode only, which would it be and why? If you like, create a story, a character and how it might end. If you were stuck on a desert island with no chance of escape, which 5 items would you have on you? If you could have 24 hours for a perfect day, what would you do? First ever vinyl/tape/CD/mp3 album you bought? If you could have any skills that you currently don’t have, what would it be?